Revenue for PUBG Mobile increased 166 per cent week-over-week for the seven days ending on Black Friday. Sensor Tower reports that the handheld battle royale earned $12 million across the App Store and Google Play, an increase on the preceding week’s $4.5 million. 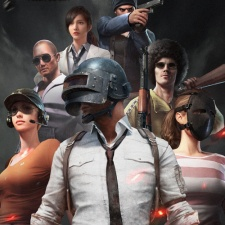 PUBG Mobile grossed 43 per cent more than rival Fortnite during the period. This is the first time since PUBG Mobile began earning in April that it has outperformed Epic’s competitor. On iOS alone, PUBG Mobile grossed 20 per cent less than Fortnite, even managing to outperform its opponent on November 21st and 22nd. Overall on Apple’s platform, PUBG Mobile ended the week earning roughly $1.7 million per day, compared to Fortnite’s daily $1.2 million.